Hayek’s most famous piece of political philosophy was, as we now know, completely wrong. 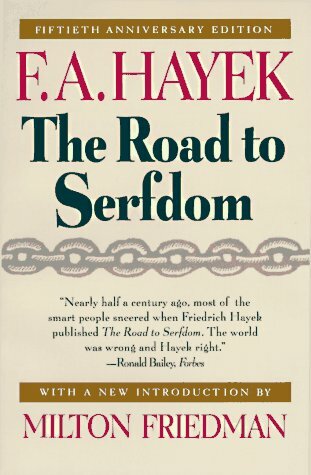 In The Road to Serfdom, Hayek claimed that Keynesian-style macroeconomic management would lead to totalitarianism; in reality, nothing of the sort has ever happened. America, Europe, Japan, Korea, and others became solidly Keynesian after World War 2, and while macroeconomic management didn’t always work as advertised, it nowhere and never led to the advent of totalitarian regimes. It’s also interesting that Hayek, despite hating the Nazis and totalitarianism in general, seems to have been somewhat influenced by many of the early 20th century Central European ideas that led to the rise of Nazism itself. For example, he repeatedly asserts that people are not created equal, making reference to ”superior people,” and stating that he would prefer an economically libertarian dictator to a democratic government that restricted economic freedom. This foreshadowed the unfortunate libertarian support for dictators like Augusto Pinochet, as well as more recent libertarian flirtations with ”scientific racist” ideas.